Adoration. A consecrated host is displayed in a beautiful sacred vessel called a Monstrance. The word “monstrance” means “to show.” The monstrance allows Christ’s body to be seen and “shown” to us – so that we can be present to God as He is present to us in His Eucharist. It is very important to remember that Adoration is a prayer that flows from the Mass; it does not take the place of Mass. During Adoration, we have the opportunity to come face-to-face with the living God. Like spending time with a close friend, Eucharistic Adoration is about deepening and strengthening our personal relationship with God. 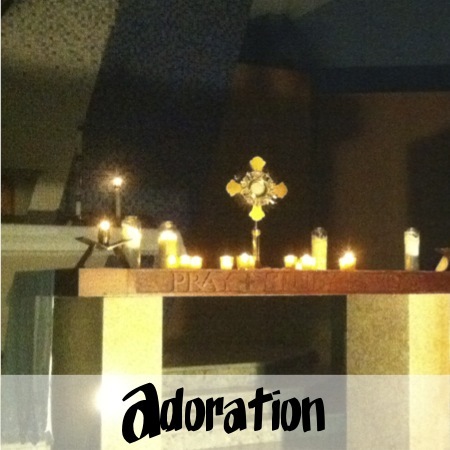 HOW IS ADORATION DONE AT CAMP?